Step inside and see the NEWLY freshly painted walls, NEW HVAC, PLUMBING & ELEC updates. Large corner lot completely fenced for family enjoyment. Share the love and history this home has offered for multiple families through the years. All brick rich in detail and architectural appointments including gorgeous original hardwoods and retro tile flooring. Soaring high ceilings and spacious rooms throughout. NEW Kitchen offers NEW appliances, and NEW Master Bath features fabulous designer finishes. 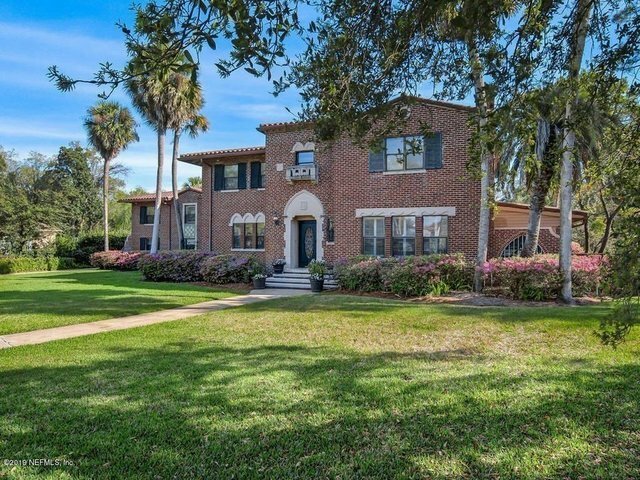 Walk out your front door to popular and quaint San Marco Square for dinner or a glass of wine, catch a movie or live play.. Shop, Live & Dine....Top rated public & private schools within short distance. Adjoining lot to rear of property will be offered separately for $500,000.